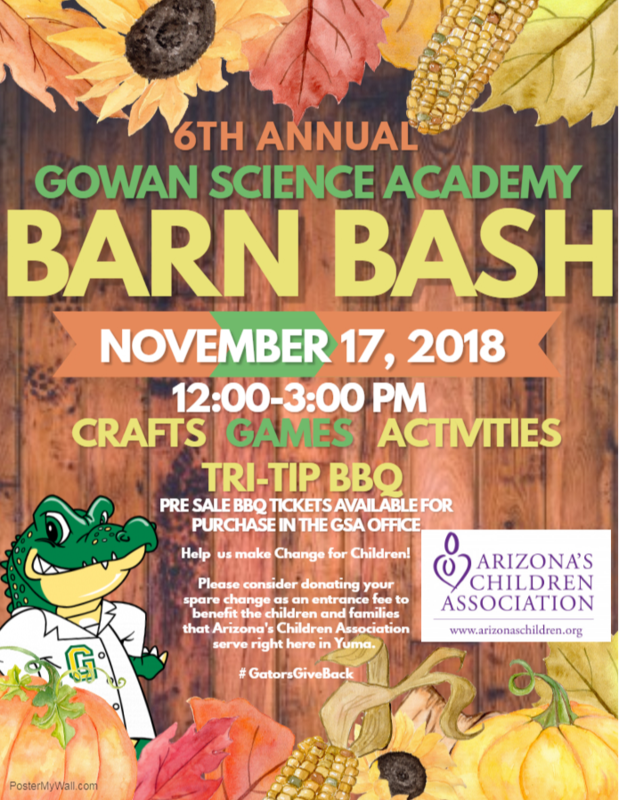 Arizona’s Children Association (AzCA) is teaming up with Gowan Science Academy to raise “Change for Children” at their 6th Annual Barn Bash. Funds raised from this exciting, family-friendly event will benefit the children and families served by AzCA in Yuma. If you have any questions about the event, or are interested in becoming a sponsor, please contact Amy Penny at APenny@arizonaschildren.org or call 928.580.3318.